By changing your email behaviour during the week, hopefully you have reduced the email overload, have a clean inbox . In addition you should have saved time. 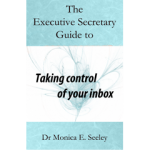 In the long term this will allow you to continue to reduce the email related stress and improved your productivity and well-being. Now the trick is to keep a clean inbox and keep it under control. This means nudging and encouraging others to change their email behaviour. Email addiction is one of the major causes of email overload. It’s the feeling that you must constantly check your inbox no matter where you are, what you are doing or what the time of day. Moreover, we often default to email when of course there are a myriad of other ways to communicate. Try Mesmo Consultancy’s PNDP framework to help you choose when an alternative niche be more effective such as WhatsApp, IM, etc. Day five is about taking stock, checking you are not suffering from email addiction and making plans to keep your inbox out of the email overload zone. Here is our three step plan for the last day. Use Mesmo Consultancy’s free Email Addiction self-assessment tool. Identify your strengths and weaknesses and if necessary seek advice about how to control the urge to have another email fix. In the coming days and weeks as you are about either to Reply/Forward or even ‘Send’ pause and ask yourself would an alternative be more efficient (eg talking, a discussion group on something like SharePoint, instant message etc)? Look back to Day 1 and how much time you were losing. Now re-calibrate using our Cost of Email Misuse Calculator. Where do you still need to make some changes? How will you keep your inbox slim and control the email overload in the coming weeks? Don’t let email rule your day. Don’t feel you must check your email either first thing in the morning or every five minutes. Rather try to disconnect from time to time. The most productive people are those who prioritise their time and stay focused on the task in hand. Do you have colleagues who would benefit from managing their email more effectively as you have now done? Yes, then call us now to ask about our Smart Email Management master classes. Otherwise how about giving them a copy of either ‘Brilliant Email’ or ‘Taking Control of Your Inbox’? Share your progress; Email; Facebook: Twitter (using #cleaninbox) There is a prize (a copy of ‘Brilliant Email‘) for the person who has made the most outstanding progress. For instance, had five days of empty inboxes, reduced the number of rounds of email ping-pong by improving their email etiquette etc. Follow me on Twitter using #cleaninbox. Thank you for joining us for this the 10th International Clean Out Your Inbox Week. Feedback on how we can improve this event for next year is always appreciated. Enter your Email Address: Please leave this field empty. 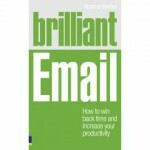 Training to reduce email overload: does it pays off?